Find the Camino lingo in our Camino wordsearch! Week 2 of our ‘letter soup’! 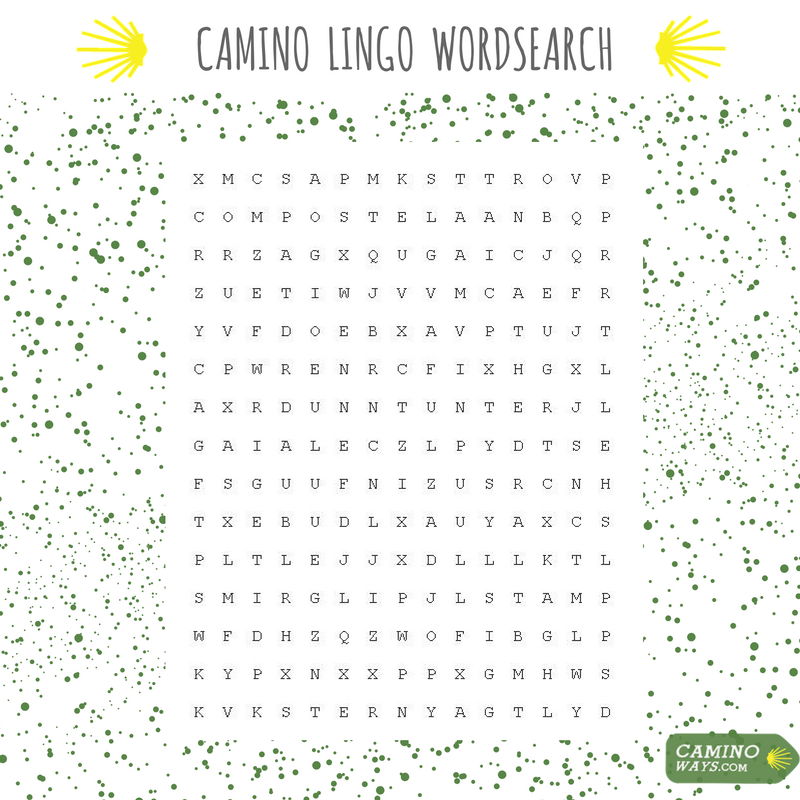 This week we are looking for up to 10 words related to the Camino, hiding in our wordsearch puzzle. To enter all you need to do is tell us the Camino-related lingo words you find in the comment section below or on our Facebook page. Don’t worry if you can’t find all of them. Find as many Camino words as you can and write them into the comments box or on the CaminoWays.com Facebook page for your chance to win. We’ll draw weekly winners and a final winner on 20th December. We have CaminoWays.com Christmas vouchers up for grabs each week and a final prize of two nights in Santiago for the lucky winners. Hint: there are more than 5 and less than 10 Camino lingo words hidden in the puzzle! Anyone is free to enter our wordsearch competition. Competition is open until 20th December 2016. Winners will be announced by CaminoWays.com on a weekly basis. Holiday vouchers are valid until December 2017. For more information about our Camino routes or to book your trip, contact the travel specialists. The winner of the Camino lingo wordsearch was James McHugh (who entered via Facebook), congratulations!